Once, when we were but wee little condiment packets (children), we had one of those transformative, coming-of-age realizations, one of those fleeting mere moments in which life changes at the drop of a hat, the sight of an image, the turn of a phrase. Once, a wise old man with horseradish in his beard smacked his lips, swallowed his bite of sandwich, and laid this bit of wisdom on us: "You can learn a lot about someone by their preferred sauce." At the utterance of these words, our lives flashed before us (all eight years! ), the wind seemed to grow stronger and more erratic, as our preconceived notions about what it meant to be human whipped around our little noggins like the leaves in the wind around us. 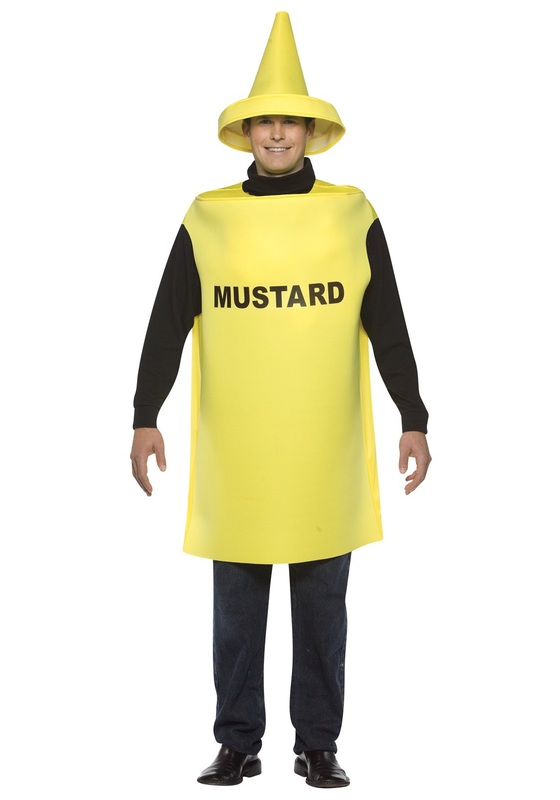 We were mustard. We knew we were mustard and we knew that somewhere else out in the world, there were more mustards like us—some spicy, some a tad sweet—but at their core, in the deepest recesses of their soul, they were merely mustards like us. We felt at once excited and nervous, the former stemming from a desire to be with our people, the latter because, well, how does one ask about sauce preferences outside of an Arby's? Nearly two decades later, we have long since figured it all out: the intricacies of navigating a melting pot of the world's sauces (sriracha, ranch, curry, aioli and more), the best corn dogs to carry in our messenger bags, and perhaps most importantly, that one's "sauce" isn't a lifestyle choice nor a hard-and-fast this or that—rather, it lies on a spectrum, perhaps from mere Yellow to the zippiest Spanish Brown. Think about that for a while. Then go, take this bottle of Yellow, and make us proud.